SANTA ROSA — Activist and author Mei Nakano will receive the 2013 Jack Green Civil Liberties Award from the ACLU of Sonoma County’s annual dinner, to be held Friday, May 17, at 5:30 p.m. at the Friedman Event Center, 4676 Mayette Ave. (east of Yulupa Avenue), Santa Rosa. Nakano’s life is a full and amazing story. She was born one of eight children to Japanese immigrant parents who were writers that had to work as hardscrabble tenant farmers in Colorado during The Depression. They moved to New Mexico, then her family settled in Los Angeles. While attending high school, where she was a “jitterbug queen,” she was incarcerated with her family at the age of 17 in concentration camps in California, then Colorado. It was at the Amache camp in Colorado where she met and married her husband, Shiro, who was then drafted out of the camp to serve in the U.S. Military Intelligence Service. After World War II, she raised her three children. At the age of 46, Nakano went to college and earned a master’s degree in language and literature, then taught at Laney and Diablo Valley colleges. Nakano became a partner and editor at Mina Press Publishing and began freelance writing and human rights activism. She published a children’s folk tale, “Riko Rabbit,” and began writing a monthly column for Pacific Citizen, the official newspaper for the Japanese American Citizens League. 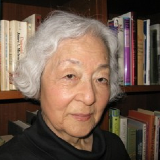 She wrote about the experiences of living in a concentration camp in the country she was a citizen of, and to document the struggles of Japanese American women in articles, essays, short stories, school curriculum and her book, “Japanese American Women: Three Generations.” She wrote about and participated in protests against nuclear weapons and argued against the need of dropping the atomic bomb. Nakano organized the first Asian American Women’s conference in Oakland in 1992 and continues to speak out about her experiences and on civil and human rights issues at high schools, colleges, other institutions, and public events. Nakano has been a board member of the Sonoma County JACL since 1979, served as a delegate at the White House Conference for Asian Pacific Women, and attended the 1995 Women’s Conference of Non-Governmental Organizations in Beijing. In 1991, she organized and chaired the Hate Crimes Workshop in Sonoma County. She sought out every minority group in the county, including gays and lesbians, to help establish and chair the Human Rights Coalition in Sonoma County and to lead the organizing effort that established the Sonoma County Commission on Human Rights. She served as the commission’s first chair in 1992. For nearly two decades, the ACLU of Sonoma County has presented the Jack Green Civil Liberties Award to community members who have transformed their deep and often life-long commitment to civil liberties, human rights and social justice into action resulting in significant, local impact. The list of recipients is a distinguished gallery of Sonoma County champions whose creative leadership, integrity and dedication has inspired and motivated others. The award is named in remembrance of Jack Green, a young Santa Rosa union organizer and ACLU member who, for his efforts, was tarred, feathered and dumped outside the county line by vigilantes. His dedicated activism and his struggle for justice marked the beginning of the ACLU’s fight for civil liberties in Sonoma County. Fresh from the wars in Afghanistan, Iraq and Africa, surveillance drones are coming to America and law enforcement and private companies want them. Drones’ threat to your privacy is the subject of the keynote speech by Trevor Timm at the annual dinner. Timm is an activist at the Electronic Frontier Foundation. He specializes in surveillance, free speech and government transparency issues. He has studied and written extensively on the threat surveillance drones pose to privacy. Before joining the EFF, Trevor helped James Goodale, long-time general counsel of The New York Times, write a book on the First Amendment. He has also worked for the former president of ACLU and at The New Yorker. He co-operates the @Drones Twitter account, which reports on surveillance drones in the U.S. and the secrecy surrounding military drones around the world. Trimm is also the co-founder and executive director of the Freedom of the Press Foundation, which supports and funds independent journalism organizations dedicated to transparency and accountability in government. Dinner attendees can enjoy the no-host bar cocktail hour and visit the tables of local activist groups. A delicious three-course dinner (vegetarian available) by Wine Country Catering is followed by music by Happy Accident, the awards presentation, 50-50 raffle (ticket sales are split with the winner; last year’s winner received over $500), and keynote speech. For more information or to make online reservations, visit http://aclusonoma.org/.